Sylvan Esso's eponymous album is full of catchy tracks, ripe for getting stuck in your head. "Coffee" is hypnotic, with a droning vibe that's infectious and profoundly danceable. 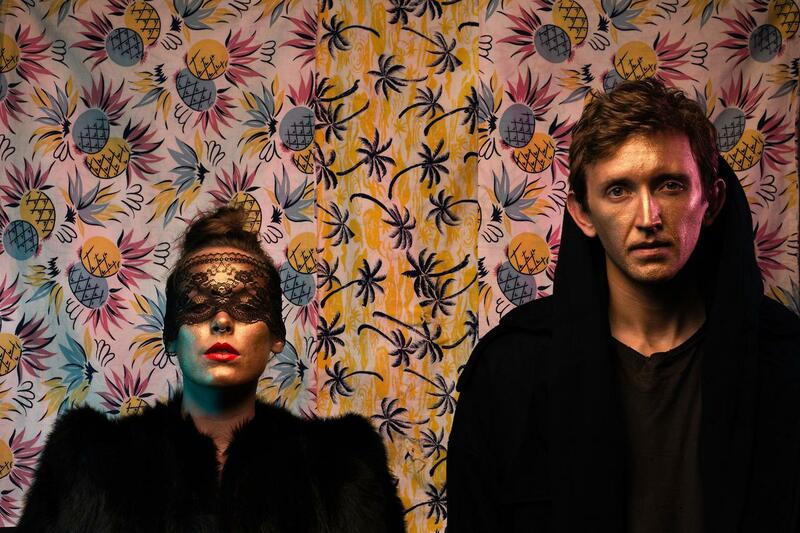 Durham-based duo Sylvan Esso is playing a sold-out show at Cat's Cradle tonight. Hear Eric Hodge's conversation with Amelia Randall Meath and Nicholas Sanborn of Sylvan Esso. The interview includes clips from their debut album. The Durham-based duo filmed much of the music video for "Coffee" in Carrboro months back. Singer Amelia Randall Meath designed the video to explore different kinds of dance parties. She is a fervent fan of contra dancing, which kicks off the video and inspired the lyrics. Meath taught band mate Nicholas Sanborn to dance for the occasion. Sylvan Esso returns to Carrboro tonight to play a sold-out show at The Cat's Cradle. Both musicians have followings in their own right. Meath sings with the Appalachian-stye folk trio Mountain Man. Sanborn plays bass for the Triangle-based psychedelic folk band Megafaun, but might be better known for his solo act called Made of Oak. Meath and Sanborn met at a show. She asked him to remix a song she wrote. A plate of grilled cheese later, and Sylvan Esso was born. Meath is a songwriter with a sweet, soothing voice. Sanborn, an electronic music lover and DJ, creates the digital beats and fills them with bells, shakers and studio instruments. "I think I'm just attracted to the overwhelming energy that music can have," says Sanborn, adding that he likes hopping around among genres. Meath and Sanborn wrote the song "Hey Mami" over e-mail. Sanborn said he added texture to the uptempo song with natural sound. He recorded sounds of boats on the Milwaukee River and played them under the the music. Only those who've already got tickets will get to see Sylvan Esso's sold-out show at Cat's Cradle tonight. It's their last concert before they head out on a European tour. There's an honesty in Bobby Bare Jr.'s songwriting. A familiarity. He's a famous son, his dad is country music legend Bobby Bare. Bobby Bare Jr. was nominated for a Grammy award at age 6 for this song, Daddy, What If. Bobby Bare Jr.'s latest album is Undefeated. It's a big year for Merge Records. The Durham-based label is celebrating its 25th birthday with a series of events, which has included concerts, limited release recordings and a 25K run. Mac McCaughan and Laura Ballance founded the label in Chapel Hill to promote their band, Superchunk. A quarter-century later, dozens of other celebrated artists have jumped on board, including the Grammy-winning Arcade Fire.